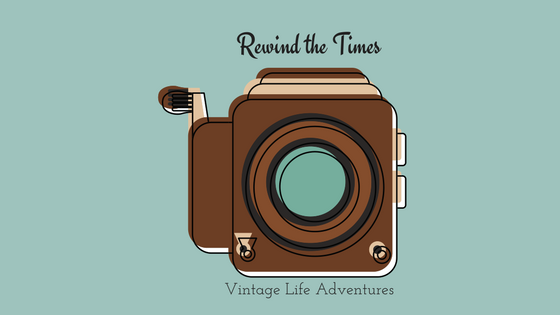 Rewind The Times – Travel to historical places and learn about historical figures and creating mixed media art with repurposed antiques. Rose enjoying the view from the vanity in the spacious dressing room. Our tour of Oakridge Estate put on by Art Deco Society of Los Angeles, surprisingly ended with one of the docents thanking me for bringing “a young person” because she said it was very refreshing to see her interest in the history of the historical site and was encouraged that maybe other young people would also find this sort of tour worth their time. Another docent later asked my daughter what she found most interesting on the tour and asked how they could reach more young people like her and get them interested in learning about historical sites and historic preservation in general. She thoughtfully paused for a moment and with confidence said that she thinks if young people could see what historic places use to look like in their prime days through photos and video, they would be more interested to compare it to how it looks today and want to preserve the history of the sites. She went on to talk about the many “cosplayers” she follows on Instagram and how many of them dress in vintage period attire and how possibly telling them about the Oakridge Estate would inspire them to create posts for their followers and get people excited about fundraising to help preserve the site. Rose and Mom in front of the guest restrooms off of the Oakie “man cave”. Guests could access these to freshen up after an afternoon of swimming. Interior wallpaper from ladies restroom. I’m sure many of you have heard of social media “Influencers”. The visual impact of photos and video can not be underestimated when it comes to getting young people interested in learning more about historical preservation. More people would attend tours and get involved in Friends of Oakridge if they could see content on social media sites like Instagram showing photos of it’s progress through historical preservation and it’s significance to Los Angeles and Hollywood history. This type of social media “influencing” can be applied to many historical sites around the country. After all, it’s the young people such as my daughter in whose hands these properties ultimately lie. How can we get our teens interested in the care-taking and preservation of historical sites? 1.There is an alarming trend among young people that they have become consumers rather than creators. After taking my daughter on quite a few historical tours and dragging her along as my vintage flea market “picker”, I have found that she puts away the cell phone and takes a break from YouTube or social media and explores with me through the historic buildings and vintage flea market booths with a sense of appreciation for “what was”. I encourage you take take your children starting at a young age to not just museums, but also tours of historic buildings to learn about architecture and the way people lived in the past. Parents assume kids would find it boring, but you might be pleasantly surprised to find that their natural curiosity for novel ideas and places intrigues them to listen and explore. 2. As parents, we are the “Influencers”, we have the opportunity to influence our young people to not get lost in a glowing world of screens but to get out into the world and see “what was” and what is possible. If they see you excited about it, they will want to know more about what interests you and will want to emulate your passions. Sharing mutual interests with our children increases connection and sharing the common cause of historical preservation is something you can all enjoy throughout your lifetime. 3.Speaking of causes, learning about history through historical preservation is an action-oriented history lesson that teens can get behind because it also has a purpose and a cause. Young people love having a purpose and something to feel passionate about. We can ignite that passion and steer them towards getting involved in the cause of historic preservation. Built in 1937 by noted architects Paul R. Williams and Robert Finkelhor, the English Tudor-style farmhouse was home to movie star Barbara Stanwyck for 3 years. While living in this 5 bedroom, 8 bathroom, 6,500 square foot house, Stanwyck filmed 10 movies. According to the docents on the tour, Barbara moved to the Northwest part of the San Fernando Valley to escape Hollywood for the calm serenity of ranch life and recover from her abusive marriage and ultimate divorce from Frank Fay. Living in the San Fernando Valley and working in Hollywood proved to be very difficult for the famous star as there were no easily accessible freeways at the time to get her back and forth to the studio. Often times roads would be washed out making it impossible to get to work. To make frequent traveling easier, she had a gas pump installed on the property. After a couple of years living on Marwyck Ranch, she married actor Robert Taylor and who later moved into the estate. Together they lived there with her son, Dion for about one year until they decided to move back over the hill to Beverly Hills. The name of the ranch stems from – the combined names of Stanwyck and Marx – ‘Marwyck’. Barbara and Zeppo Marx along with his wife Marion built adjacent houses on the property. Barbara Stanwycks house still stands today but the Marx house has long been torn down and replaced by a Chevy Dealership. Zeppo Marx was not only Barbara’s new agent but he also convinced her to go into a joint venture in breeding, training, and boarding horses. In 1940, Stanwyck sold the property to actor Jack Oakie, who later married actress Victoria Horne in 1950 and together “dubbed” the property “Oakridge“. By then much of the original property had been sold to developers when Stanwyck sold it to Oakie for only $35,000. In 2000, Jack Oakie’s widow donated the estate to USC’s School of Cinematic Arts. The Oakies had these hand-painted Murals created in the entertainment room which included a bar and built-in record player. Murals are thought to be painted by movie studio set artists. Even though the historic home was designated a City Historical-Cultural Monument in 1990 (#484), USC eventually sold the property to a real estate developer. When the transaction fell out of escrow, former Councilman Greig Smith worked to protect the home. He secured $3.8 million in Quimby fees to purchase, help rehabilitate and improve the Oakie House in 2009. The current Councilman Mitchell Englander supports the continued preservation efforts of the Friends of Oakridge Estate who since 2014 work with the Department of Recreation and Parks to assist with it’s usage for tours and special events as well as fundraising. Many thanks to Art Deco Society of Los Angeles for putting on this event. Please check out their site for membership and upcoming events and current historic preservation projects.